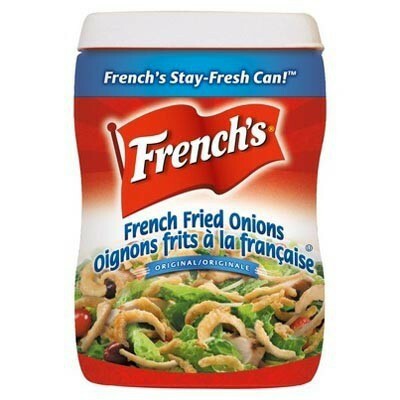 A key ingredient in America's #1 holiday side dish, green bean casserole, French's French Fried Onions add crunch and great taste to any recipe! In salads, as breading for chicken, in soups, in sandwiches and wraps...the possibilities are endless! Children and adults will love these crispy, flavorful, American fried onions! 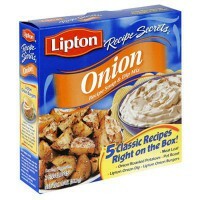 Onions, palm oil, wheat flour, salt, dextrose. Manufactured in a facility that also processes milk. Contains GMO. Nutrition facts (for 100g): calories 643Kcal, total fat 50g (saturated fat 21.4g), total carbohydrate 42.9g (sugar 0g), protein 0g, salt 2.1g. You can eat these right out of the can! 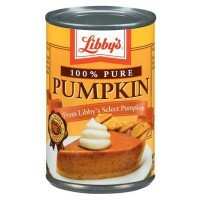 But we prefer to save them for Green Bean Casserole! 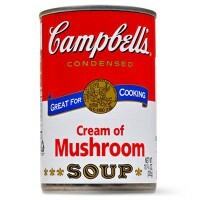 (Get a can of Campbell's Cream of Mushroom soup to make that.) Delicious! 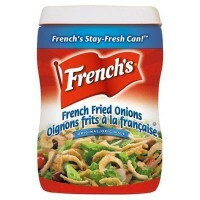 Je met ses oignons frits avec mes salades, ou dans les hamburgers, ma famille adore et moi j'en suis fan ! Moi qui n'aime pas du tout les oignons j'ai beaucoup aimé mais j'en raffole pas .